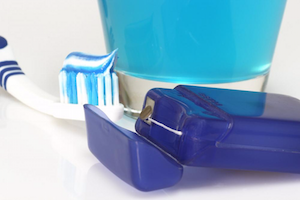 Brushing and flossing the teeth are two of the most essential ways in maintaining good oral hygiene. Despite the fact that seeking for professional dental cleanings twice a year eliminates plaque, tartar and debris, tremendous homecare techniques are in the same way important. The right way of brushing and flossing will improve the health condition of the entire oral area, turn the smiles more beautiful and help prevent any severe illnesses. • To prevent tooth decay – One of the primary reasons of tooth loss is the occurrence of tooth decay. Dealing with this habitually necessitates some complicated dental procedures. It takes place as soon as the acids that form in plaque grind down the natural teeth enamel. This particular occurrence can simply be avoided by means of appropriate personal hygiene routine. the tooth with the use of a toothbrush, and from the interdental portions of the oral area utilizing dental floss, is absolutely a great technique to put an end to gum problems. • To prevent halitosis – Halitosis or commonly known as halitosis is generally brought about by old food bits stuck between the teeth. These can be cleaned with brushing and flossing frequently; making the oral area much healthier and breath smelling fresher and better. • To prevent staining – Discoloration or the staining of teeth may be provoked by an extensive selection of reasons like smoking, coffee and tea. There is a lesser possibility that the stains in the teeth become long-lasting if these discoloration factors are frequently eliminated by brushing and flossing methods. Generally, the teeth must be brushed or cleaned two times a day; preferably during morning and right before going to sleep. The ideal size of toothbrush is small with soft, circular bristles and should not be more than three months old. The head part of the toothbrush has to be tiny to be able to have contact to all parts of the oral area. Also, the bristles must be fluffy so that it won’t lead to any gum tissue injuries. ADA or the American Dental Association has granted electric toothbrushes their permission, explaining that those toothbrushes with revolving or wavering heads are actually more efficient compared to other toothbrushes available today. 1. Put the brush at an angle of 45 degrees wherein the gums and teeth meet up. 2. Make use of tiny spherical movements to softly brush the gums and teeth. chewing portions of the mouth. 6. Cleanse the tongue area to eliminate fungi and other food segments. Flossing is a helpful method in getting rid of plaque that forms in the interdental sections or between the teeth. It is mainly a significant technique for putting off periodontal or gum ailment and restricting the deepness of the gum cavity. The interdental spaces are not easy to get into just by using a toothbrush and must be cleaned utilizing a dental floss everyday. The taste and kind of floss are not really a big deal. It is advisable to pick floss that is convenient and enjoyable to use. 1. Slash a bit of floss roughly about 18 inches in length. 3. Move the floss smoothly in between the teeth all the way to the gum area. times to take away interdental plaque and debris. and further harm to the gums. In case you have inquiries concerning the right method of brushing or flossing, it is better to consult the dentist or dental specialist.